I cringe when I see someone take a roll,butter the entire roll, then proceed to eat as if it's a sandwich. Right again. 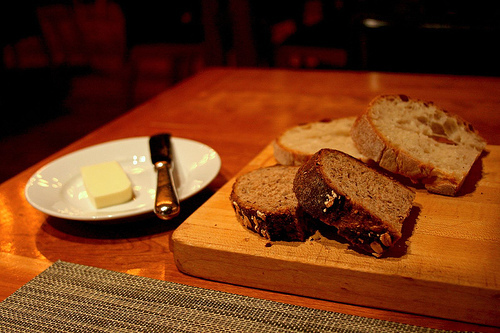 No one knows how to eat bread with elegance anymore. I sometimes feel silly breaking off a mouth-sized piece, buttering it and putting it in my mouth--just enough to eat in one bite, not several. Are we old-fashioned? If so, I like it. When the butter is cold I place it under the warm bread basket, etc. and allow it to melt a bit. That solves the breaking bread when you spread issue. I don't know why restaurants cannot serve butter at room temp. but I take the wrapped buttter and just hold it discretely in my hand until it softens up.